The Concord Consortium has developed 19 activities for teaching and learning algebra that are available online or as an app for iPad or Android tablet computers. 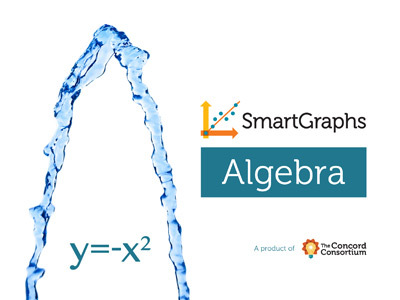 These activities—which cover a variety of algebra topics, from linear equations to transformations of functions—help students develop skills creating and using algebraic functions and graphs to solve problems. Hints and scaffolds support learners who need help. The activities are available free online at smartgraphs.org/#curriculum. The SmartGraphs:Algebra tablet apps, which do not require an Internet connection once installed, cost 99 cents (see smartgraphs.concord.org/apps/). Lesson plans are available online for all of the activities.